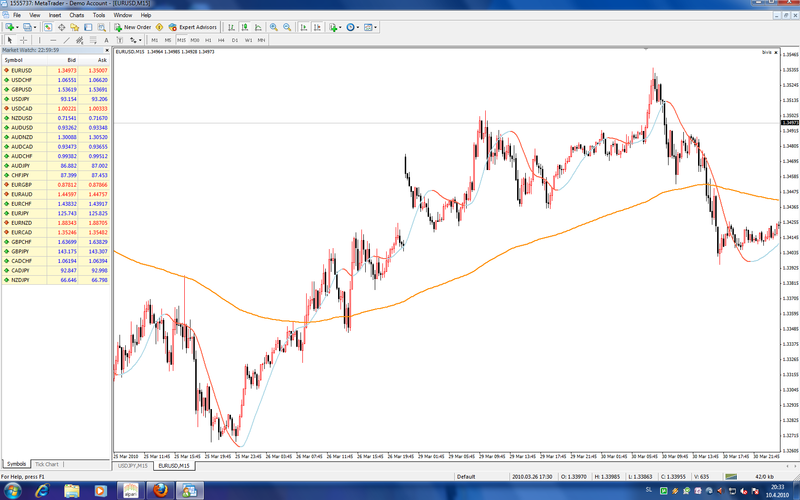 This is very easy system with two indicators. First is MA200 exponetional and second is trend line. Princip of work: I used this system on 15 min chart. When price cross MA 200 and trend line is blue you should look only for long trade and when price cross MA 200 and trend line is red you should look only for short trade. You must change period 20 to period 100 in trend indicator! Entry rule: When price cross MA 200 and trend line is blue you must wait first for red line and after that when blue line is again you should go long. For short entry rules are the same.